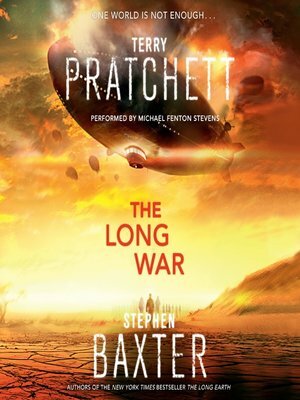 The Long War by Terry Pratchett and Stephen Baxter follows the adventures and travails of heroes Joshua Valiente and Lobsang in an exciting continuation of the extraordinary science fiction journey begun in their New York Times bestseller The Long Earth. A generation after the events of The Long Earth, humankind has spread across the new worlds opened up by "stepping." A new "America"—Valhalla—is emerging more than a million steps from Datum—our Earth. Thanks to a bountiful environment, the Valhallan society mirrors the core values and behaviors of colonial America. And Valhalla is growing restless under the controlling long arm of the Datum government. Soon Joshua, now a married man, is summoned by Lobsang to deal with a building crisis that threatens to plunge the Long Earth into a war unlike any humankind has waged before.